I promised Frootcake a recipe for the best pap ever (no really – I mean – EVER), to serve at a braai she’s cooking for over the weekend – here it is, Froot!! My daughter got this recipe from her mother-in-law, and it is just delicious served with braaied meat – actually, it’s pretty darn good just by itself too! 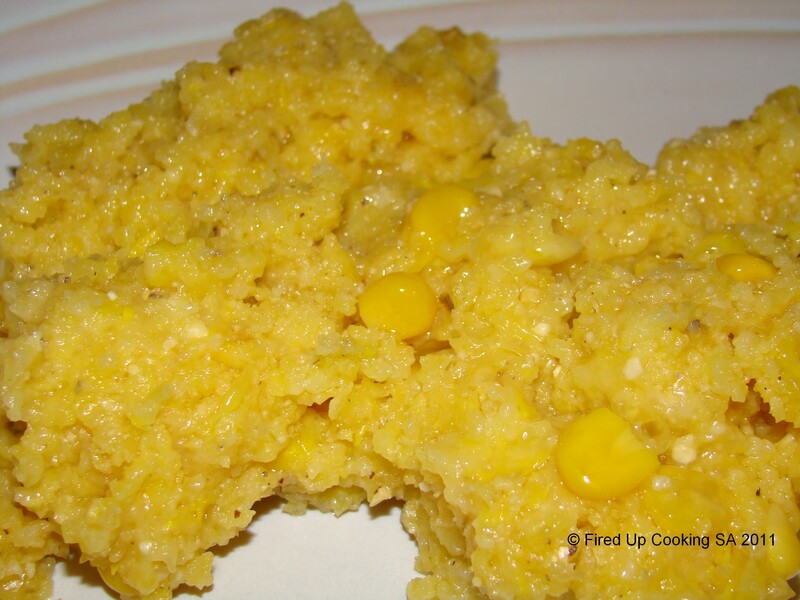 The twist on the usual sadza/meilie pap is the cheese and sweetcorn added to the maize meal – oh! and the fact that it’s made in the microwave! This is the creamiest, tangiest, most delicious pap you could ask for! This entry was posted in Extras and tagged butter, cheddar cheese, maize meal, sweetcorn. Bookmark the permalink. You might find it’s delicious! Not that different from polenta, right? Hello there yourself 😀 so pleased to see you here! I agree, it is the best pap,ever!! This looks really good, and quite easy to cook. It is very tasty, and very easy! I have to confess, I have never made pap! 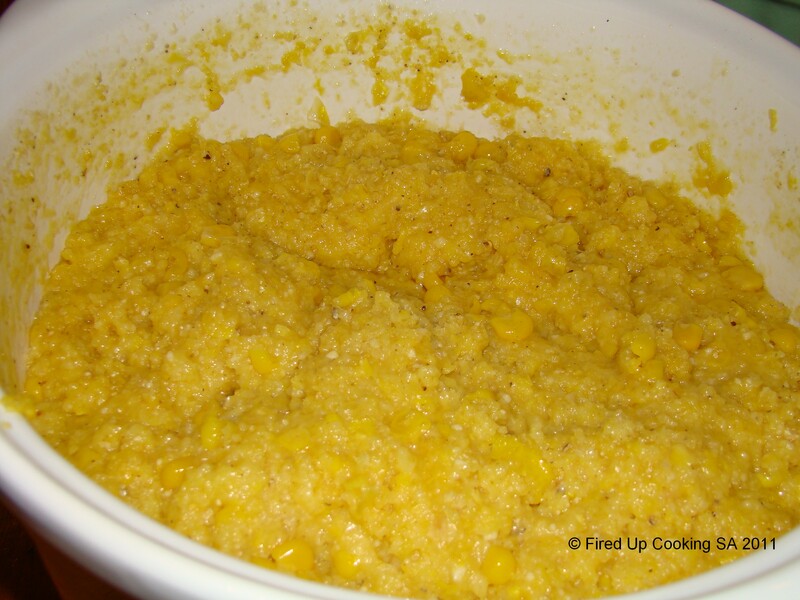 I love pap but have never cooked it in the microwave before – love the addition of sweetcorn AND cheese – yummy! It cooks very well in the microwave – though the standing time is important. Have a good weekend, Mandy! !